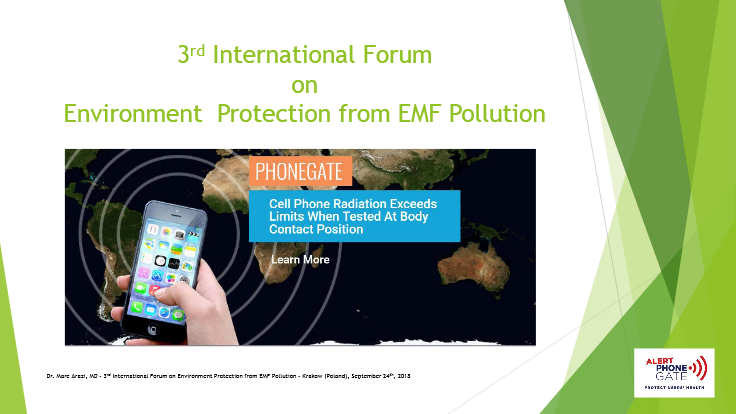 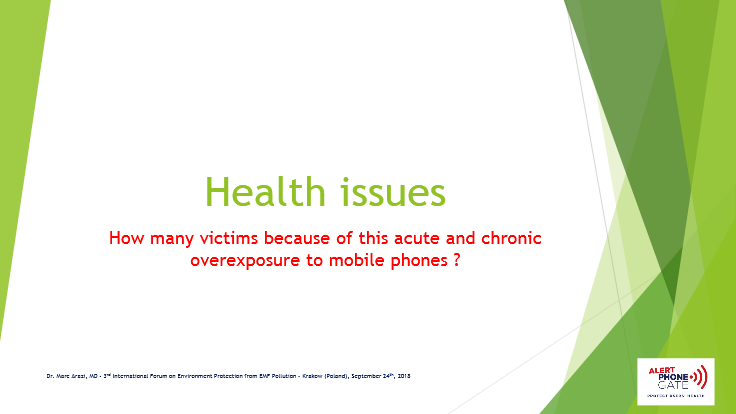 Dr. Marc Arazi emphasized the global public health challenge for mobile phone users of this new industrial scandal. 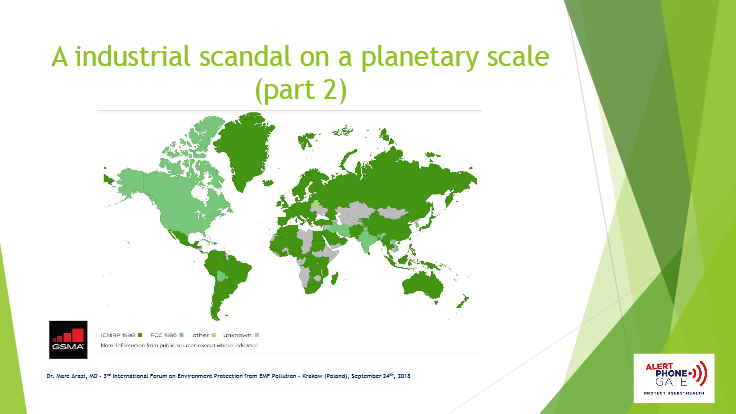 The PowerPoint presentation by Dr Arazi is available at the above link. 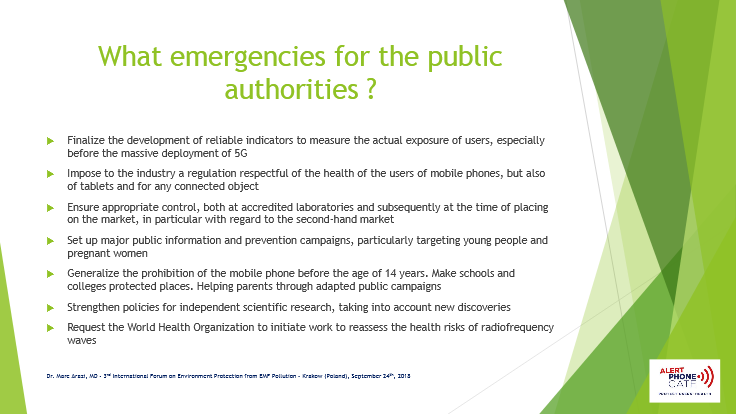 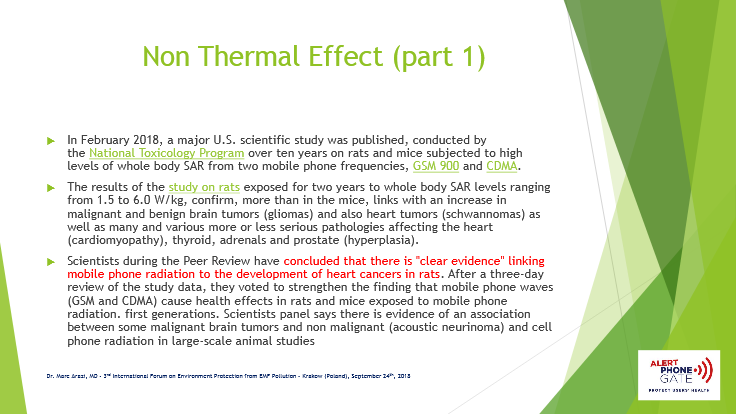 Selection of slides from the presentation – credit Dr Arazi.